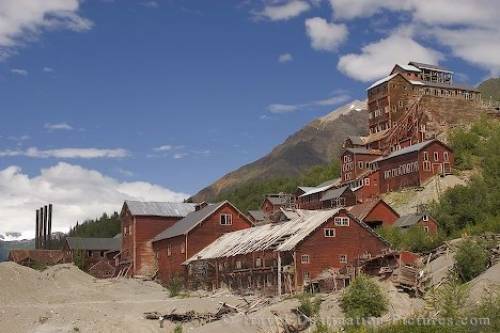 Kennecott copper mine, once the richest copper mine of the world, was abandoned in the 1930s. The mine quickly rotted away in the harsh alaskan climate until the US NPS started to remodel and preserve what's left of it in the late 1990s. Although it is not easy to reach, it is well worth a visit and give a good insight in the harsh life at the last frontier during the real frontier days.